A retro sweet shop serving you all of your old favourites and also caters for the modern sweet teeth. Mr Simms Sweet shop in Bromley offers a wide selection on retro, traditional and modern sweets. In store we can also create Party Bags, Sweet Cones and Wedding Favours to you exact requirements . Removing the hassle of having to do it yourself. 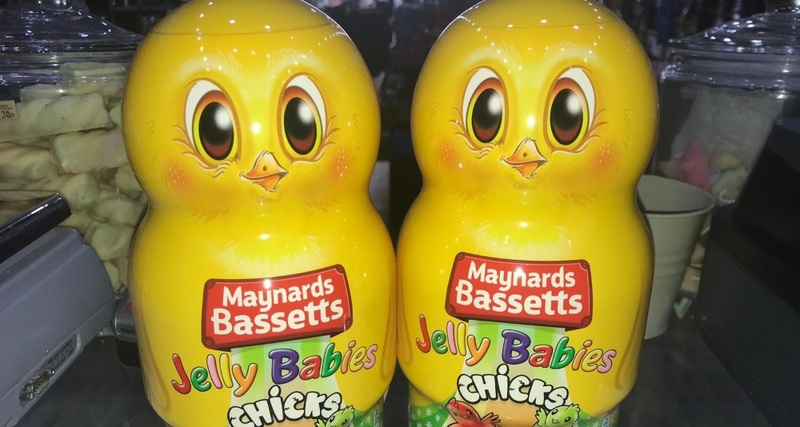 Come on in and grab one of these fantastic Bassetts Jelly Easter Chicks in a novelty collectable gift jar for just £4.99 or get two for only £8!! Fruit Flavoured Jelly Chicks - Strawberry, Lemon, Lime, Blackcurrant, Orange, Raspberry made with real fruit juice.